Although there isn’t a specific Hallowe’en themed bead coming out this year (that I know of! ), Trollbeads has such a rich back catalogue that there is plenty to choose from for newer collectors. Left to right, the new to me beads are Inner Glow ($46 USD/$61 CAD), Heart Catcher or Wicked Web ($56 USD/$74 CAD), Skeleton Spirit ($72 USD/$95 CAD ), Pumpkin ($56 USD/$74 CAD), Sleeping Bat ($56 USD/$74 CAD), Apple of Wisdom ($46 USD/$61 CAD), Power Chakra ($46 USD/$61 CAD), Masala Facet ($46 USD/$61 CAD), Coral Stripe ($34 USD/$45 CAD) and Trick or Treat ($56 USD/$74 CAD). The Sleeping Bat is so awesome! Look at that cute little face. I’m a bit afraid of bats, but my cousin studies them and presents research papers about them all over the world, so this shall remind me of her! I love how it hangs on this bangle. Left to right are Sunbeam Spacer, Marble, Masala Facet, Sleeping Bat, Black Onyx, Skeleton Spirit, Leaf Fall, Marble and Sweet Berries Spacer. Skeleton Spirit has the most amazing detail, especially along the spine. Below left to right are Night Sky Spacer, Leaf Fall, Wicked Web, Trick or Treat, Skeleton Spirit, Coral Stripe and Sweet Berries. 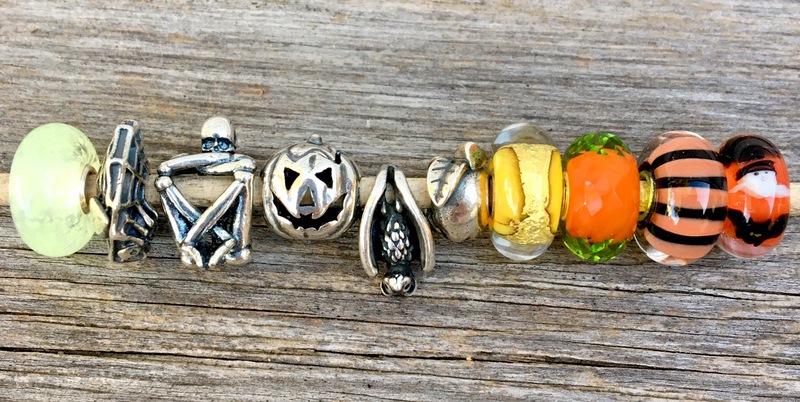 Check out six different views from the Trick or Treat Bead. It’s designed by Nozomi Kaji of Deep Ocean and Ageless Beauty fame. I love the detail on the Pumpkin Bead and how the mouth is shaped like a bat. There is also a bat on the back of it. The glass bead to the right of it is called Love & Laughter. Here it is on the Black Leather Necklace, with an Amethyst, Skeleton Spirit, Power Chakra and Black Onyx. The Power Chakra also looks amazing with Acorns. That’s the new Strawberry Quartz on the right. I love this bangle below here using some green beads. That’s a Night Sky Spacer, Masala Facet, Apple of Wisdom, Sparkling Moss (which really matches the pumpkin stem! ), Power Chakra, Shelter, Glimpse of Green and Sneaky Fox Spacer below. Inner Glow *really* lights up in the dark! Here it is in the daytime. The Mexican Sugar Skull is great for this time of year also. 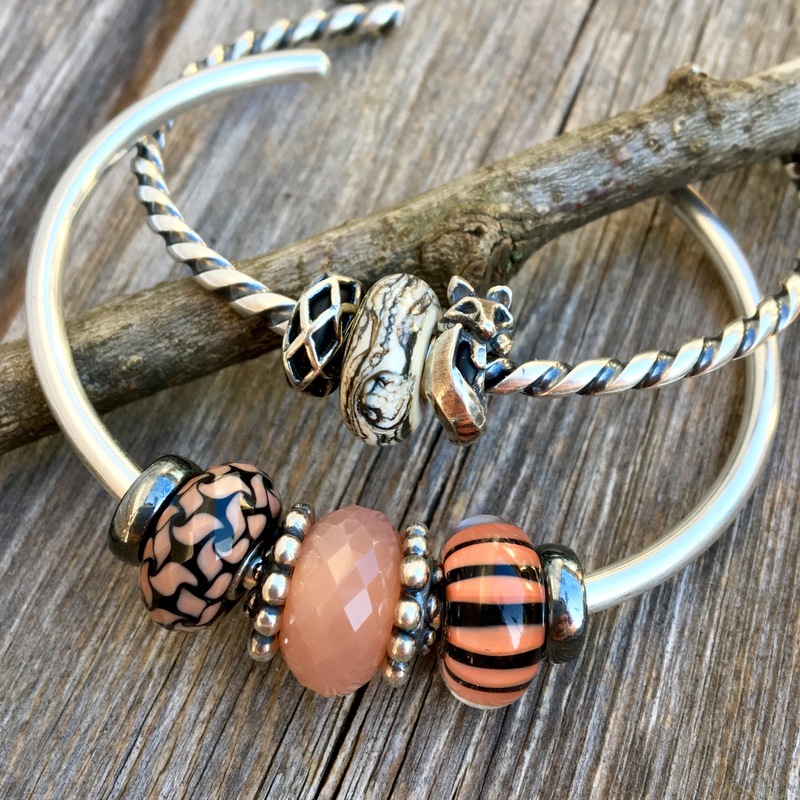 The last bead I want to feature is Coral Stripe. Look how nicely it goes with Forest Glam! I know the stripe in Forest Glam is navy and the Coral Stripe has black, but I still like them together. That’s a Forest Mist in the middle. It also looks great with Voice of Wind and a Feldspar Moonstone! I know that this time of year with the cool, crisp mornings, the changing foliage, freshly picked apples and Hallowe’en is a favourite of many people, myself included. 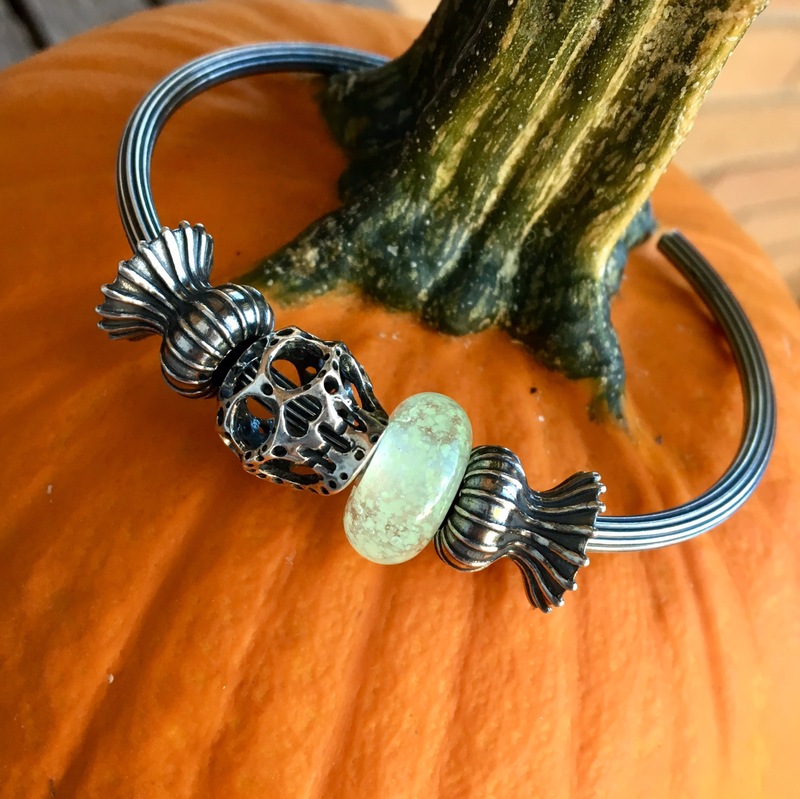 I’d love to hear about what beads you like to use in October! Or is there a certain colour scheme you like to use? I will probably try a couple of purple, black and orange combos. One housekeeping note-I will likely be only doing one blog post a week now, as I’ve accepted a full time job (teaching music to 18 classes!) that goes until the end of June. I plan to keep up my Instagram though! Julia just announced that this month’s fun theme is #pumpkinoctober2017, so join in if you can! 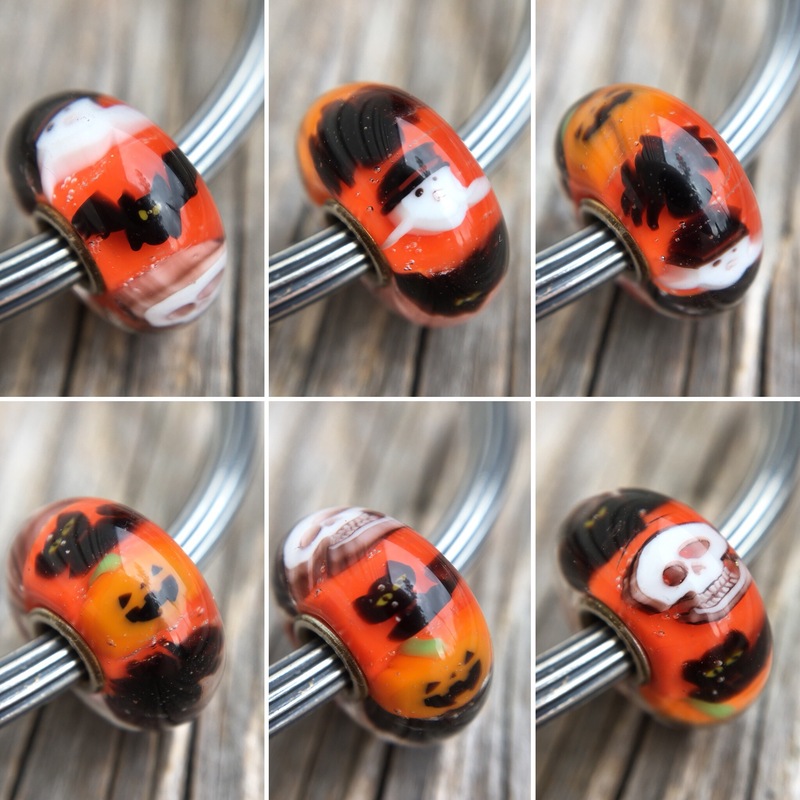 To see more Hallowe’en themed Trollbeads, click on the (affiliate) link below, then go to ‘Gifts’, then Hallowe’en. Congratulations Martha! Very exciting for you, though I’m sad we will be slightly little less “spoiled” by your posts 😉. This was great to see all the spooky themed beads together, I think one of my favorite looks was the last one with the feldspar moonstone and Voice of Wind. Best of luck at your new job 🎶! Thanks Tanya! I also love the Feldspar Moonstone with the Voice of Wind together. And that Coral Stripe is destined to be a new/old favourite! Congrats on the new job, Martha! It sounds exciting and busy. I love your blog whenever you post, it is such a treat! I really like your combos with that power chakra bead, especially the one on the black leather. That bead is going on my list now! I have an orange and black Halloween bracelet that I have kept together, but I think I will redo it this year. 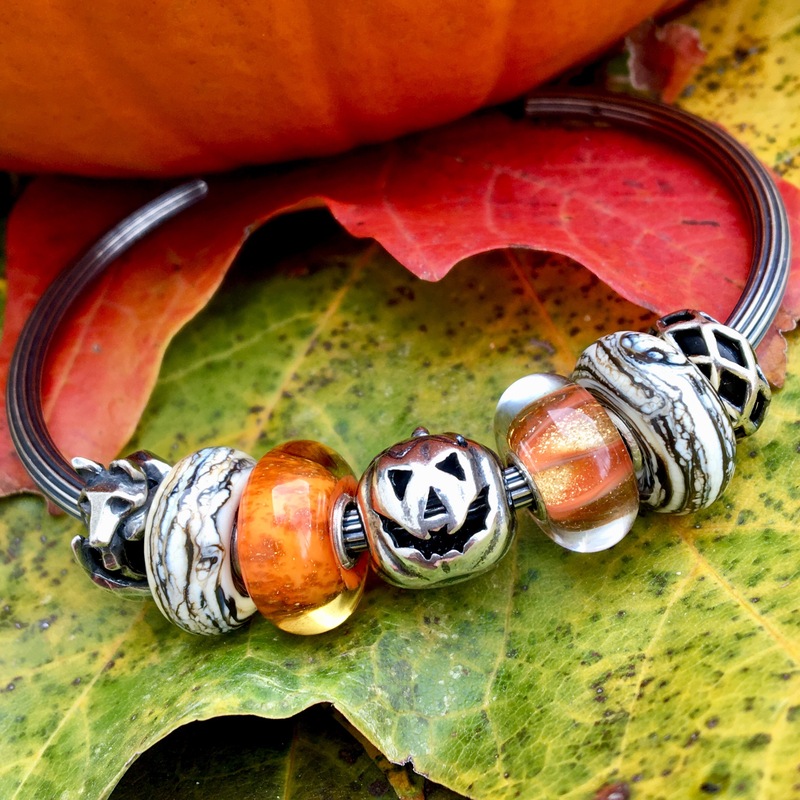 My favorite Halloween beads are the trollbeads pumpkin and the sleeping bat. Thanks Elise! 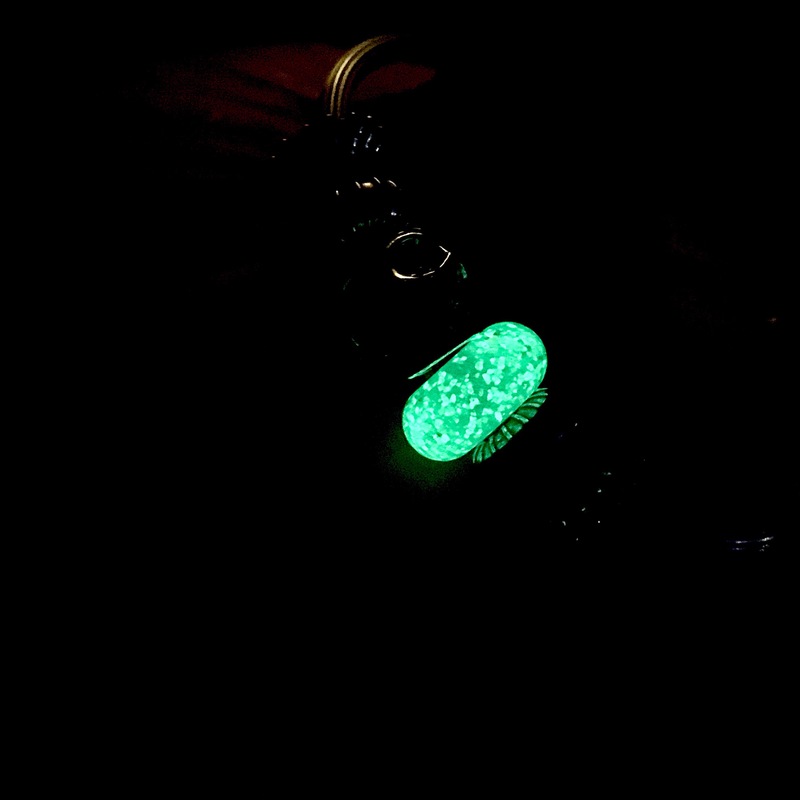 I also love the Power Chakra bead on the black leather. I’m think maybe it with some orange added in might look nice? It’s a very glamorous bead, in any case! Love, love, LOVE the Pumpkin and Sleeping Bat! 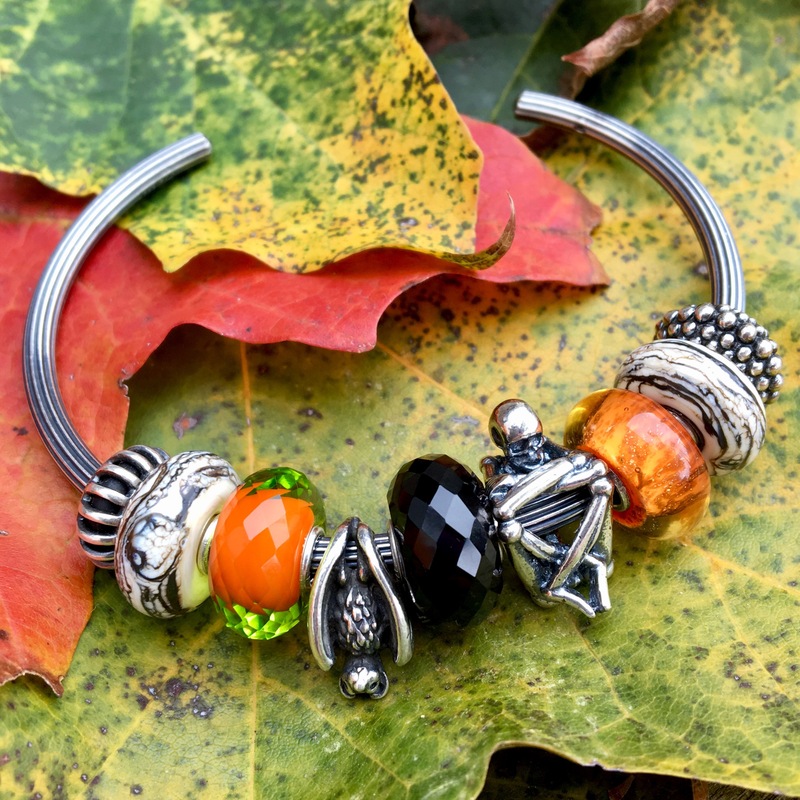 What an inspirational way to begin October, your new job and some amazing Trollbeads ! Congratulations on your full-time teaching position, (and your astounding collection of great Hallowe’en beads)! I have been eyeing that sweet Sleeping Bat for a couple of years and, as I don’t have many themed beads at all , I would wear it on a necklace. My mother loved bats and so did we all growing up, and my daughter has a few wonderful bat dolls. I too love this time of year and you have inspired me to add some of these beauties to my collection. 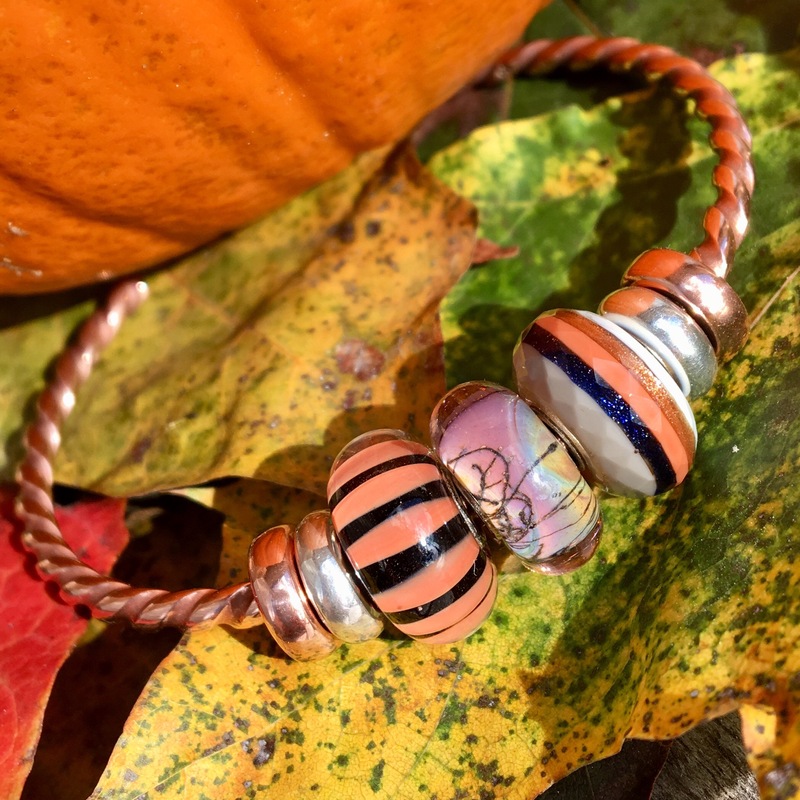 I go to pick up my new Trollbeads two weeks from today, (I have some on hold at my “local” store, and now I will augment my list a wee bit thanks to this exciting and inspiring post. I don’t have a favourite from all of these amazing stylings, your photos are all superb and so is this post. 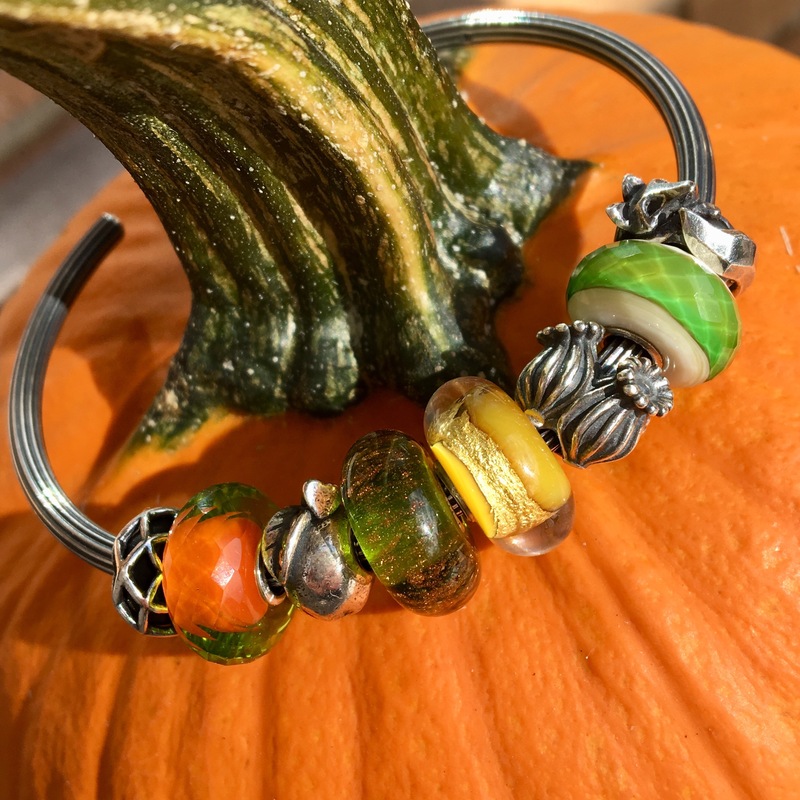 Thank-you for starting my October with such a delightful celebration of wonderful beads! Thanks for reading today, Sarah! The bat bead really is awesome, isn’t it? I love your idea of wearing it on a necklace. The face is very sweet! I can’t wait to see what you buy! Thanks Roberta! I also love the Coral Stripe. I had never really noticed it before but it really is gorgeous! Have a nice evening! Hi Martha, Congratulations on your new teaching position! Getting one post a week will only make me look forward to it even more. I don’t have any Halloween beads yet, but there are several here that I want, especially Trick or Treat, Pumpkin, and Sleeping Bat. Thanks Suzanne! Hallowe’en beads are quite the indulgence, since they aren’t used for a lot of the year. Say, did you buy anything at the Bead Bash? I didn’t end up getting anything. I was hoping for a True Treasure, but the ones I liked were gone so fast. Thanks Alex! There are just so many fabulous Hallowe’en themed beads, right? But I agree, just a touch or orange or black would do the trick! 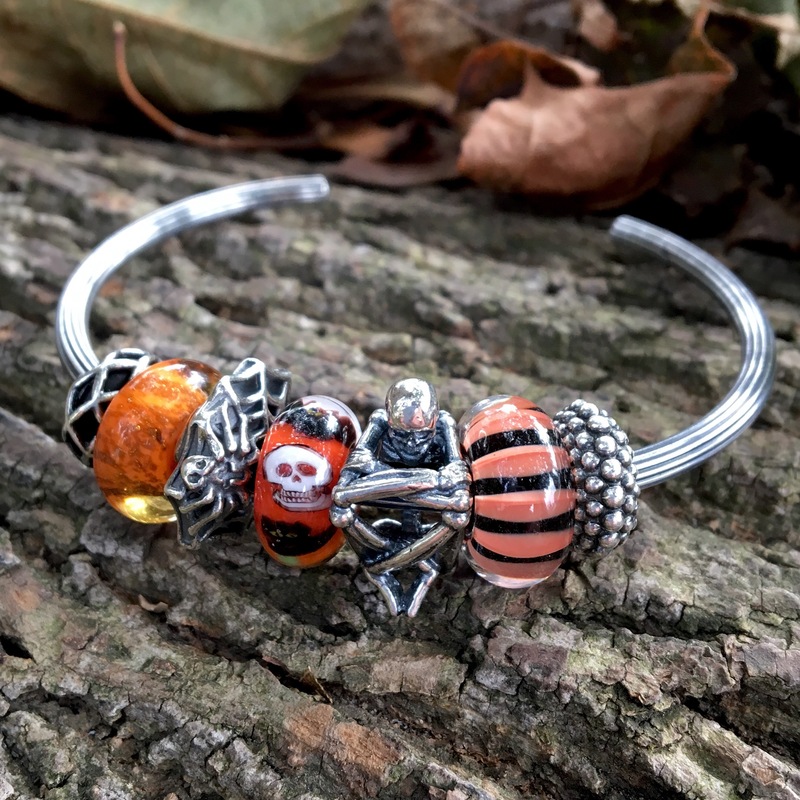 I love the Trick or Treat bead because it is fun and so vibrant. I have two so far and am thinking about another. For Halloween silvers I love the Wicked Web. I love what you have done with all your bracelets! Thanks! 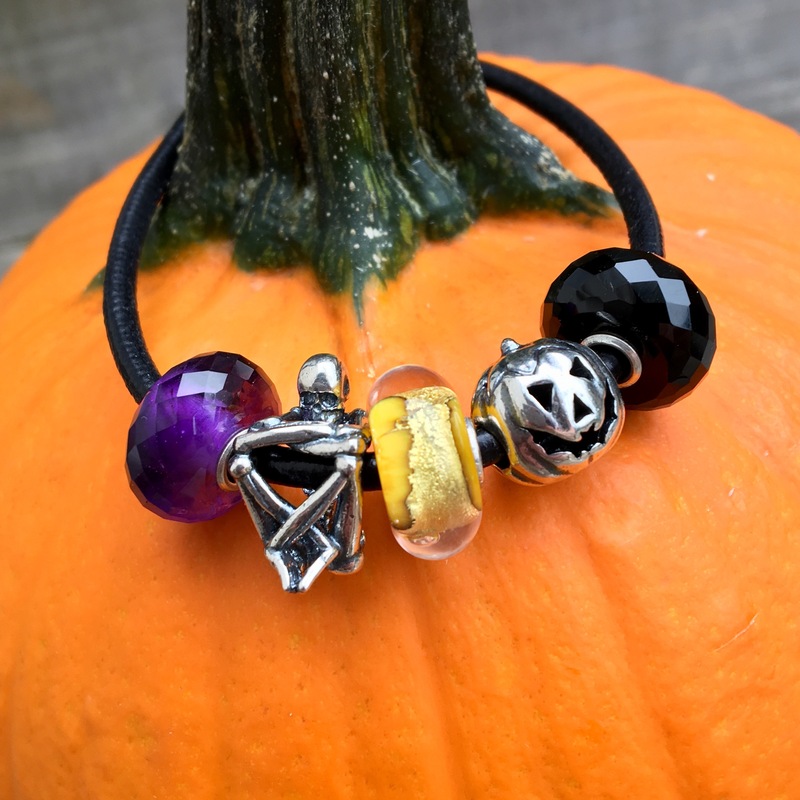 That Trick or Treat bead is very special and two (or more) would look fabulous! Congrats on your new job, Martha! I’m not much into Halloween, but I love the fall season. I’m really digging your orange combos here! And there’s still so much that I want from the Trollbeads fall collection. It’s going to have to wait a bit until my wallet recovers from Bead Bash though. Although I only participated online this time, I still did some damage! Thanks Kim! Oooo-I’d love to hear what you bought this time around. 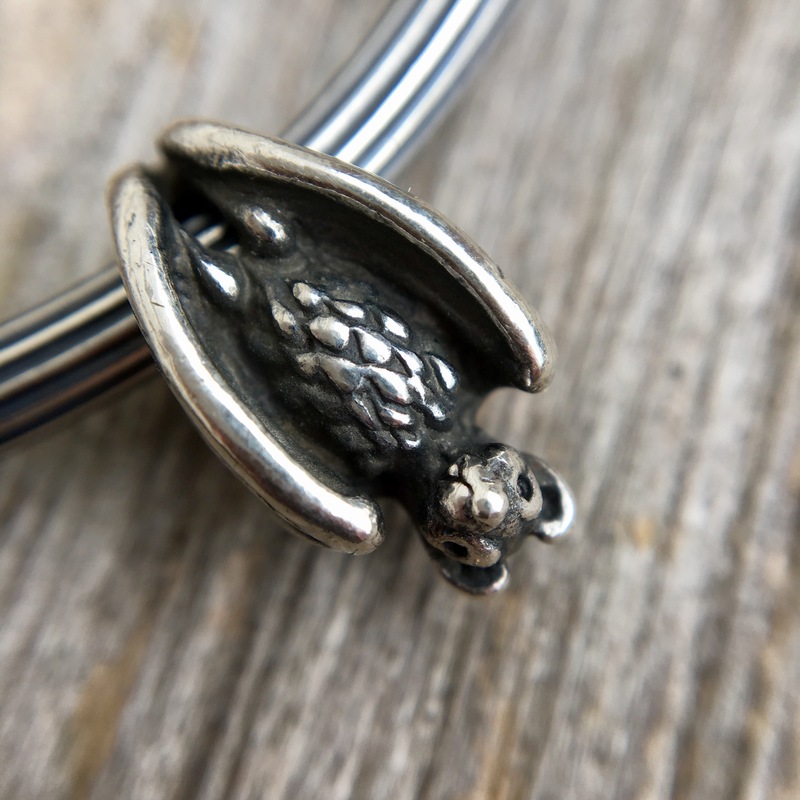 And speaking of the Trollbeads fall collection, the winter one is being previewed tomorrow! It’s all happening so fast! I’m picking out Christmas songs right now for the kiddos to sing at the concert in December and feel like time is flying by way too quickly. Oh, I am so not ready for Christmas! No cold, no snow, don’t want to hear it. 😉 I’ll still look forward to the preview though! As for Bead Bash, I was quite lucky with the True Treasures – much more so than I’d dared to hope. It was pretty intense when those were listed, and they all flew off the shelves within minutes! I also got a couple of the Ohmniques (the ones that reminded me of abalone). And a few nice Troll ambers. I just got my shipping notice today, and will be impatiently waiting for the package. I definitely need to cool it for a while though! Wow, that sounds like a great haul! What fun it will be when they arrive! Hi Martha I just noticed how you have the Mexican Sugar Skull on its side on your bangle and I had an aha moment! I have hardly worn mine because it keeps tilting up on my bracelet. I put it on sideways and it stays still! I bet you didn’t even plan for that to be a lesson, but I learned something here today. Suzanne-you are so right! I only put it on like that because I was trying to make the eyes glow with the Inner Glow bead. It didn’t work out, but I kind of liked the bangle like that anyway! Say, there are some lovely things in the Winter Collection, eh? I love that reindeer glass bead and the rings, especially! Did anything catch your fancy? 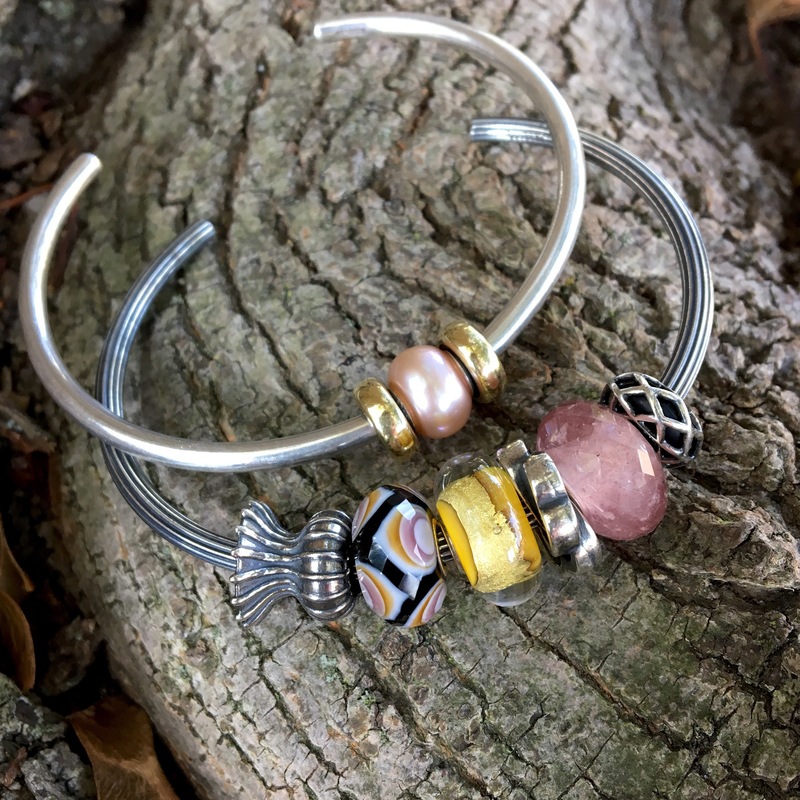 Immediately I love the reindeer glass bead and the Pig Spacer…. But for me my absolute favorite/ must-have is the Wishful Sky Bracelet. It’s another amazing collection! The reindeer glass caught my eye too. And the bracelet is such a good price! The details are amazing on these beads! I’ll have to take a closer look at them when I visit the store. Yeah, check out the spine on Skeleton Spirit when you go. And the Sleeping Bat is so cool, too! 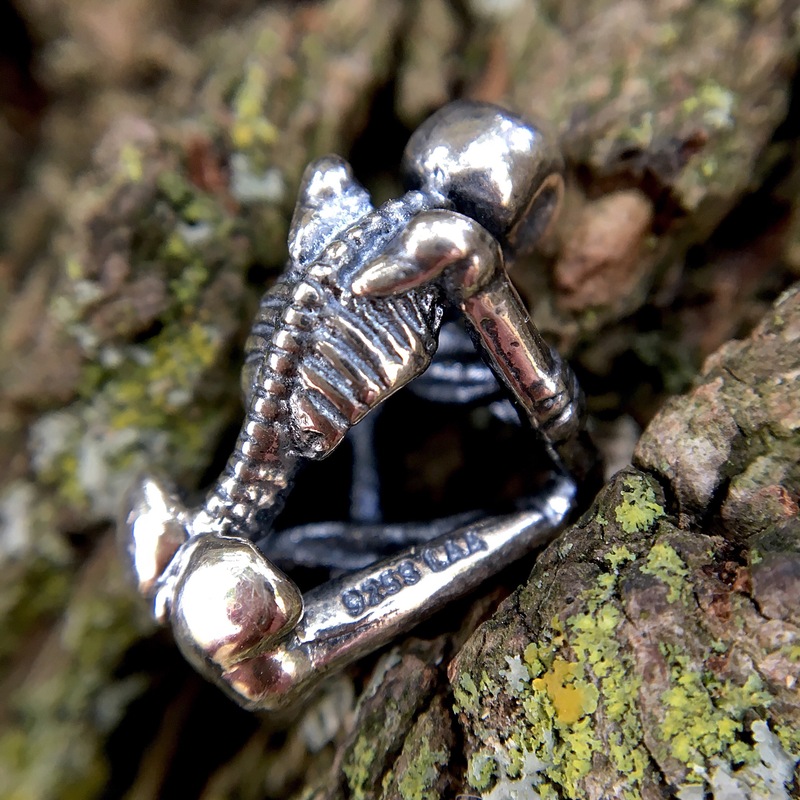 Hello, quick question the picture at the top of the page is that your handy work or by Trollbeads? I thought as much, it’s just so you! Which is why I was surprised when I saw it again today on Instagram being used by someone else and they did not credit you. So if you’ve not given them permission, that’s just downright rude.